When you set up your classroom for Guided Reading, think about your small group space as well as your space for literacy stations or centers for Independent Work Time. You need to think about both what you and the children need for the lesson and what the rest of the class needs to work on their own. Set up your Guided Reading area to make the most of your time with your small group. Have everything that you and the group will need at hand so that the lesson runs smoothly. Plan what supplies and supports the rest of the class needs to work independently so you can focus on your small group. Teach, practice, and reinforce procedures and responsibilities for Guided Reading. Your children need to know what to do to take care of themselves, each other, and the classroom whether they are in the Guided Reading lesson or working independently in the classroom. Tips and strategies for setting up your classroom for guided reading. Guided Reading is powerful because it is efficient. There is so much you can do in a short amount of time! A well organized and purposeful Guided Reading space will go a long way to making the short time you have with the children go smoothly and productively. Set up and organize your space, supplies, print, books, and planning materials to make the most of your planning and instruction time. Use this checklist to make sure you have everything you need for Guided Reading lessons. Set up your Guided Reading spot in an area where you are visible to all the children in the room. It helps you to have an eye on everything in the class and supports children in making good choices. Make sure that your space has a place to keep supplies and books. Some teachers have a designated Guided Reading table. Other teachers sit on the carpet or at the children’s table and keep their supplies on a message board, easel, nearby shelf, mobile cart or caddies. Wherever you decide to meet with your groups, make sure that it is in a relatively quiet part of the room, so your readers can concentrate and you can hear them clearly. Children should be able to access print resources such as high-frequency words and skill and strategy anchor charts to support them during the small group. You can hang relevant charts where they are visible to your small group, or create table top versions for children to reference. You’ll want to have the Guided Reading books you are using for the day’s lesson ready and nearby before you meet with your groups. In addition, have a basket of books the children have already mastered available for browsing. Children can read them as a warm up while the group is settling in or if they have extra time after they’ve finished that day’s text. Teaching and reinforcing procedures and responsibilities for Guided Reading will go a long way in making your small group instruction go smoothly. When children know how to take care of themselves and each other they will spend more time reading. Teaching them how to care for books and supplies will ensure your materials last a long time. Use this resource as you plan procedures for Guided Reading. So, What Are the Other Children Doing? One of the most common questions about Guided Reading is, “What are the other children supposed to be doing while I meet with Guided Reading groups?” The short answer is, “They are engaged in meaningful literacy experiences!” But we all know it takes some time, effort, and lots of teaching and nurturing to get children engaged and independent enough for you to give your full attention to your small groups. Take the time in the beginning of the year to teach children responsibilities and procedures for Independent Work Time. Introduce activities slowly and allow children plenty of time to practice. Be patient with the children and yourself. It takes about six weeks to get everything in place. Take Guided Reading groups while the rest of the class is doing independent reading from their book bags. The children can be reading to themselves, responding to reading, partner reading, or listening to books on tape. If your school or classroom uses the Daily Five as the structure for the literacy block, Guided Reading can be incorporated into this time. You can set up literacy stations or centers. Each center should be meaningful and connected to the skills and strategies that children are learning. As long as children are truly engaged and connected to the learning and not doing “busy work” or worksheets they will thrive and grow as readers and writers. Children need to function with autonomy during the school day. The best way to help children reach this goal is to teach clear routines and procedures for every aspect of the classroom. The procedures that you teach should be based on the needs of your children and help support children to work independently. A literacy station or center is any area in the classroom where children work alone or with one another to explore and expand their literacy. Stations or centers can be created anywhere in the classroom. They can include your large and small group meeting places, the classroom library, or your children’s desks and tables. Some stations can even be portable. Children can take the materials and use them anywhere in the room. Children can do a variety of activities in stations or centers, including: reading, writing, speaking, listening, and working with letters and words. The most important thing about literacy stations is that children have a chance to reinforce or extend their learning working by themselves or collaboratively with their peers. Start small. Plan for only a few centers that support the goals you have for your children. Introduce more centers over time based on your curriculum and the needs of your children. Start slowly and build momentum after you’ve established strong routines and procedures. Keep centers task-oriented. Provide clearly defined activities in which children can successfully engage. Start by thinking about your current practices and purposes. If your objectives this week include word families, place the same poems and word families at the center and have the children use the same processes you have been using in whole group. Keep centers neat, organized, and attractive. Each activity should be attractively organized with all of the materials and supplies easily accessible for the children to use successfully and independently. Label everything clearly. Make clear signs for the center and materials. Labeling materials and storage spaces allows children to self-manage the activity and return them to their assigned place. Teach clear expectations and directions. Design centers for groups of two to four children to work and play independently or cooperatively. Teach children how to use the center and post simple directions at the activity. Expect children to be able to spend 10 to 20 minutes at a center. Focus on “process” not “products.” Some center activities might have products that result from completing the activity, while others should celebrate the process of reading together or playing with words and won’t produce anything to check or assess. Whatever the goal, consider how the activity either motivates children or serves as a record of accomplishment. Keep some materials constant, and rotate others. There is no set length of time for keeping activities in a center. When children need time to revisit activities and master them, they will stay in the center for a longer period of time. Other activities are rotated according to themes and areas of study. Some constant materials are the writing supplies, such as a variety of paper, pencils, markers, and pens. Model what you want children to do. Extensive and repeated role modeling is the key to successful center management. This helps the children develop a clear understanding of what is expected of them. Centers and materials should be introduced one at a time, perhaps over the course of a week. Model explicitly what is expected and how materials are used. Link the activity to your teaching. For example: When the children see you look for rhyming words in picture books during an Intentional Read Aloud, they will be able to do the same in centers. Establish routines. Teach procedures and routines to children to help centers run smoothly. Teach and reinforce responsibilities so that children learn to self-manage and take care of others. Establish routines for who visits which center, how many at a center, what to do with finished work, etc. Review these routines often. Keep groupings heterogeneous and flexible. It’s important for children to have time to socialize, to work and play with and get to know all the children in their class. Everyone has things to offer and all children can learn ways to get along, share, and take care of themselves and others. 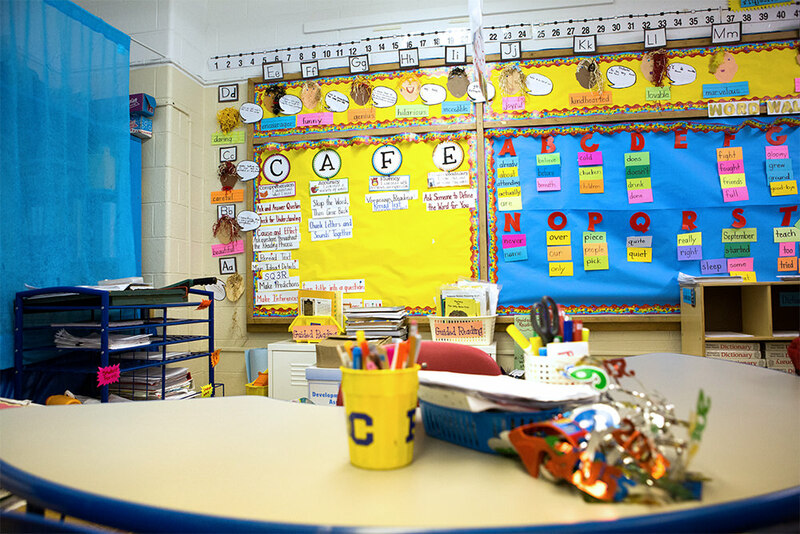 Here are some simple, engaging, and useful center or station ideas for your classroom. All of these centers have open-ended activities that are easy to update and enhance throughout the year. Differentiate your centers to meet the needs of your class by giving children choice in activities and reading materials. Follow these steps to teach children how to use literacy stations or centers. You can follow the same steps whether you introduce them whole group or in small groups. Make sure you have all the materials out and ready. Gather the children near you and get their attention. Tell them what the purpose of the station is and what they will be doing. Show children what to do in the center. Think aloud about what you are doing. Model the skill or strategy you want them to practice. Example Use flannel pieces as storytelling props, put the figures of each house on the flannel board as each is mentioned. After reading, place flannel numerals 1, 2, and 3 on to each house as a visual reminder of the order of occurrence in the story. Guide children as they practice and help them, if needed. Provide time for children to practice independently. Example Give pairs of children cut-outs of the three houses and have them work collaboratively to retell the story and to arrange the houses in the right order as they tell the story. To promote application in different contexts, make flannel pieces for other well-known stories with simple, sequential plots available. Help children think about the activity. Help them to remember past experiences like it. Discuss how they could apply this activity in other contexts. Encourage their ideas. Talk about some guidelines for practicing this activity independently. Example Ask children to tell you how they might do the activity on their own. Ask them how they could use the same activity with a different story. What would they need? What would they do?